Imagine a Dock that doesn't get in the way. 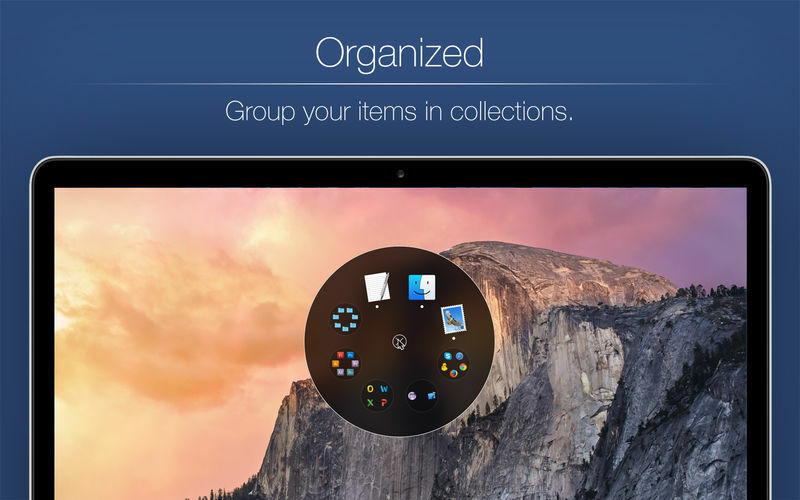 One place for your favorite Apps, Files and Folders that's always at hand. 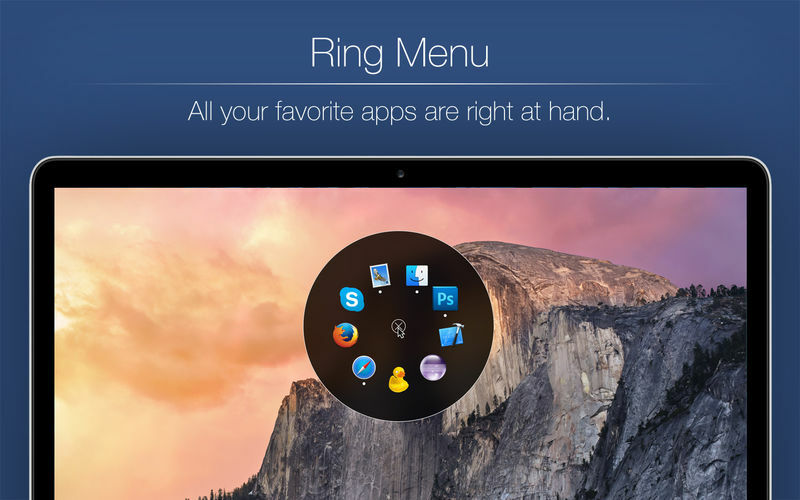 A Dock that responds to Trackpad Gestures and Keyboard Shortcuts: Introducing Ring Menu.